TPC MYRTLE BEACH REMAINS ONE of the must-play courses for any serious golfer on an excursion to the Grand Strand. It is the site of the Senior PGA Championship won by Hall of Famer Tom Watson. Another Tom — Tom Fazio — designed the course in 1999. 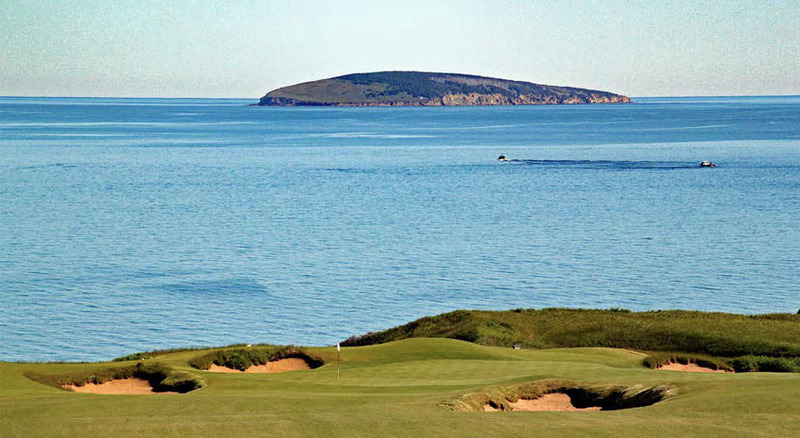 Fazio is considered one of the best golf course architects alive, and of the 120- plus courses he designed, more remain in the top 100 than do those of any other designer. That Fazio is a Philly native and a graduate of Lansdale Catholic High School was not lost on our nearly all-Philadelphian foursome as we played TPC. LCHS honored Fazio in 2007 at a great homecoming event, entering him into the school’s Hall of Fame. 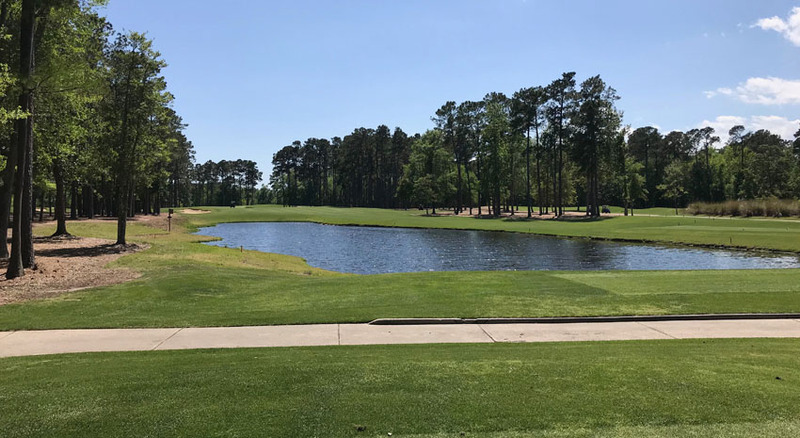 We started on the 10th hole when we teed up on a beautiful April day in Myrtle. The foursome included Mike Donahue (president, GT Advisory Board), who had great action off the tee during his game; Jimmy “The Cop” Spratt, serious and focused but often distracted (maybe the Blue Angels flying over for the Myrtle Beach Air Show were too much); my brother, Gerry “Gerbils” Gallagher, who warmed up to the course; and myself, playing my regular game of double bogeys, bogeys and pars (fewer pars than I’d like to admit). I found out later Gerry took some lessons in his hometown of Dallas, evident mainly in his drives off the tee box. Besides scoring a par (and Gerry a birdie) on Hole 11, I witnessed the most remarkable shot off a tee by Mike. Racing to be the first to show us he could clobber the ball, he swung hard, catching the ball on the hozel of the club and sending it screaming wildly low to the right. Before having a chance to go out of bounds, the ball crushed the white tee marker (made out of PVC plastic at TPC) and sent it spinning like a top. I thought the marker might drill itself into the ground, resulting in a gusher of oil. The ball bounded furiously off the tee marker but launched forward. We thought this was a riot, but Mike just got up again and crushed his 3-wood with fantastic might. The rest of us played a different game. I drove a little right, putting the trees into my approach more mentally than in reality. I took the ball up the left to the green and two-putted for par. Though I was unable to produce a spinning tee marker, I was pleased with the result. Gerry landed left center and caught a perfect iron to the center of the green and one-putted. Unfortunately, Jimmy — still damaged from witnessing the spinner shot — became tangled in the trees on the left and carded a double bogey. Fazio created this wonderful finishing hole to make or break your game. I guess the greenskeeper closes the hole to carts all the time, as the fairway has a drainage issue. The day we played, the course was in great shape, so I ignored any warnings of “cart path only” to help speed our play. My drive was good but slightly less robust than Gerry’s. When I walked out to hit my second shot, Gerry (in a world of his own) started walking on the fairway toward his ball. This got into my head and I shanked the ball into the water left. The fairway is split by a stream only those with exceptional drives can meet. The second shot is to another fairway with a large pond on the left, culminating in the green and the lovely clubhouse beyond. After taking my penalty stroke, I advanced nicely and then chipped onto the green for a bogey, forgiving Gerry for his distractions, of which there are many. Off the bat, we teed off at Hole 1, listed as the ninth-ranked handicap hole on TPC. Mike, Jim and I drove well-placed shots, in line for our second shots to the green on this dogleg left. The landing area has two bunkers, left and right, and the green is deep, nearly 40 yards. Gerry slapped a ball left and short, bouncing around the trees until it rested, making his comeback impossible. 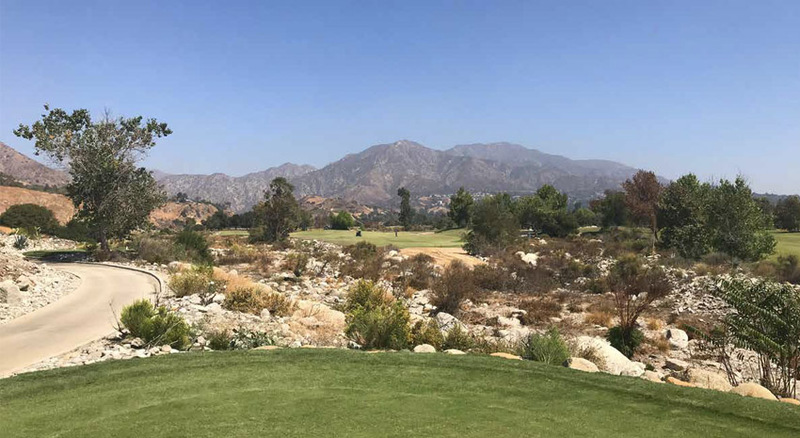 After getting back into play, he landed in a bunker, adding a stroke to his score, while the rest of us carded bogeys and hurried to the carts. If you are fond of alligators, this is the hole for you! Right near where Gerry drove his tee shot lay a rather large gator looking content and fat. I suggested Gerry simply ask the fella to move, but he insisted on a “drop” due to the man-eater. 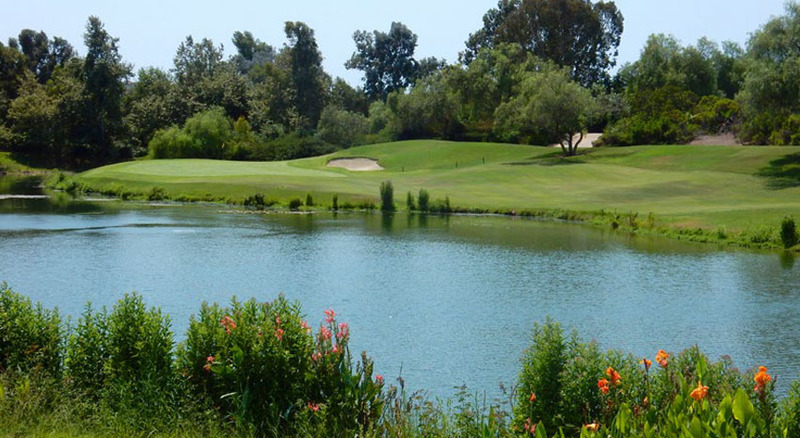 This beautiful par 5 requires three near-perfect shots to the green as it wraps around the water on the left. The team scored a collection of bogeys and double bogeys. “You’d think by now we would be warmed up and scoring better,” said Mike. Ranked the No. 1 handicapped hole on the front nine, it takes two good shots to make the green while avoiding any mishaps. 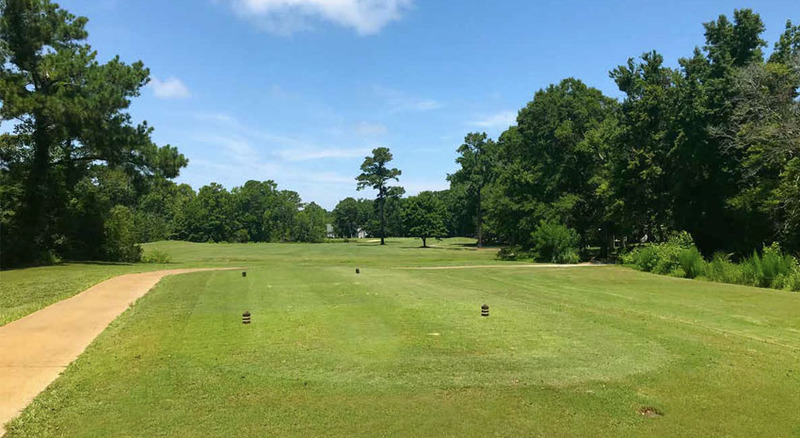 Your monster drive needs to clear the swampy brush just beyond the tee box and still have enough gusto to take distance away from your approach. A small pond lies on the right side within driving distance. Fortunately, all four of us landed safely, favoring the left side of the fairway. The uphill approach makes it even more difficult; the one lone trap caught me on the fly. We all scored bogeys, one over par — more a relief than a celebration. Fazio included some remarkable and memorable holes in the design. 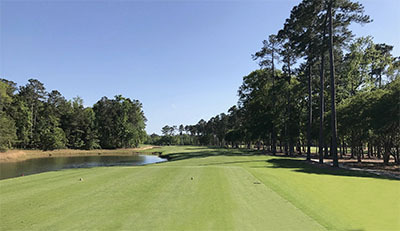 Whether you decide to spin a tee marker or make friends with the wild animals is entirely up to you, but I recommend a round at TPC when you visit Myrtle Beach. For this Philadelphia team, it was like a homecoming!